LAHORE (92 News) – Renowned singer Shahnaz Rahmatullah, popularly known as Shahnaz Begum, passed away in Bangladesh on March 23 at the age of 67. She suffered heart attack, which proved fatal, according to media reports. Shahnaz notable patriotic songs are ‘Sohni Dharti Allah Rakhe’ ‘Jeevay Jeevay Pakistan’. Born on January 2, 1952, Begum was the recipient of the Ekushey Padak in 1992 and Bangladesh National Film Award for Best Female Playback Singer for the film Chhutir Phande (1990). Tributes poured in on social media as people remembered Begum for singing one of the most iconic songs in Pakistan’s history, one that has been hailed as an alternate national anthem. 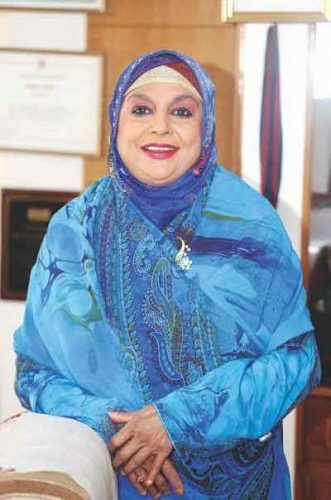 Renowned singer #ShahnazBegum passed away in Dhaka on Sunday after suffering a cardiac arrest. She was 67.